HAIR CUTS, MANIS, PEDIS, COLORING, FACIALS, WAXING, ETC IS ALL INCLUDED IN THIS GREAT BENEFIT! 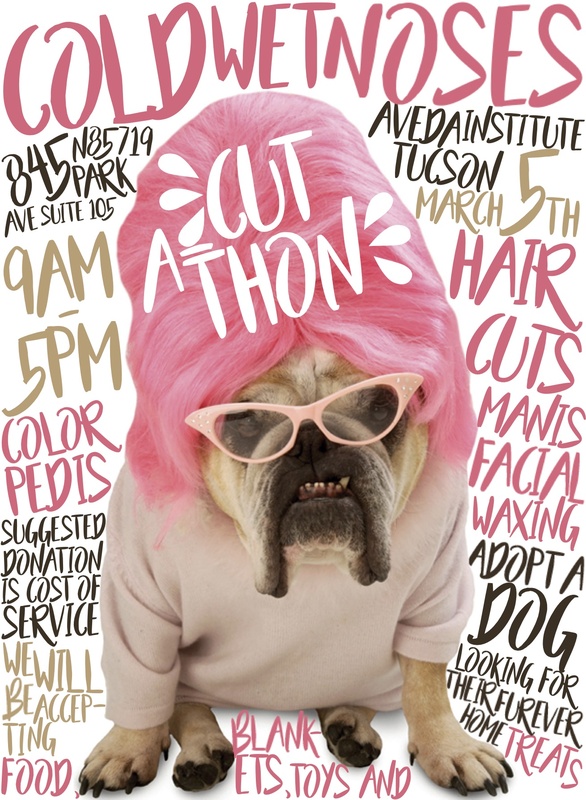 On March 5th there will be a benefit held for Tucson Cold Wet Noses at the Aveda Institute. We are very excited about this benefit as all proceeds from any services done that day will go to Tucson Cold Wet Noses! We will also have dogs there from 10 to 2:30 up for adoption!